Super mini size round shape, similar as a coin, only 1.77 ", easy to install and use, hiding is not easy to find. 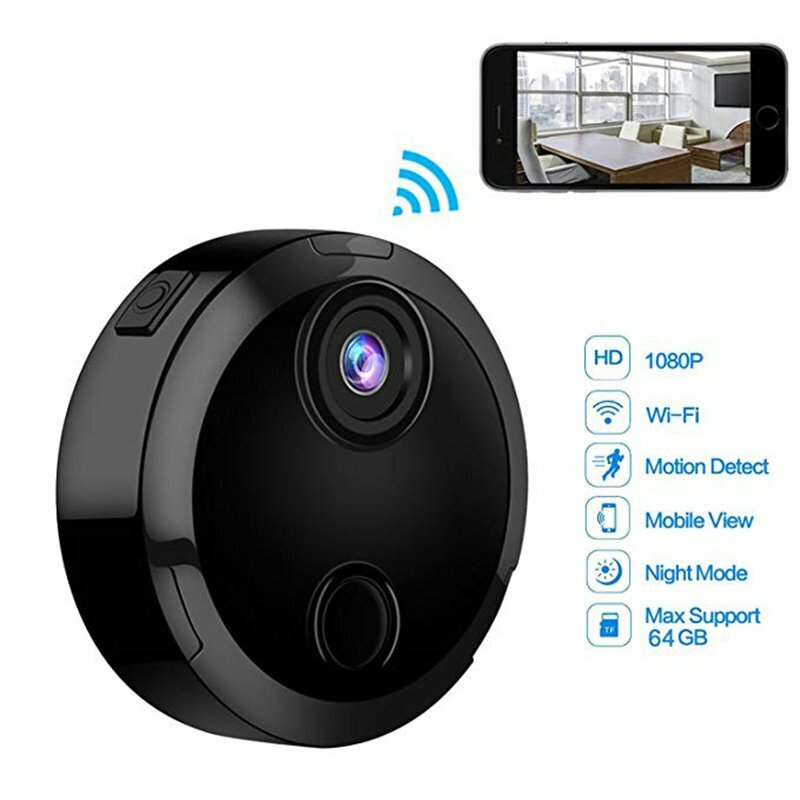 High resolution 1080P, 150 degree wide angles, Wi-Fi remote control, support AP P2P & IP connect. Remote control via smartphone,can watch by smartphone and computer at the same time. Invisible night version,motion detection sensorm,motion detection capture the moments video automatically. Special design wearable body camera, clip on your bag, stick on any surface.